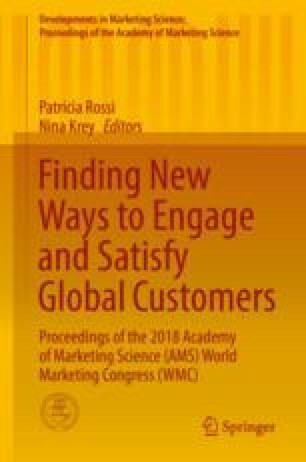 The use of ambient scents has become an increasingly important trend in business practice to create a distinctive product or service experience (Rimkute et al. 2016; Henshaw et al. 2016). Sensory marketing has started exploring scent effects in a variety of settings and predominantly underlined its positive effects on customers’ mood, memory, attitudes, and other variables (e.g., Krishna et al. 2010; Herrmann et al. 2013; Spangenberg et al. 2005). However, previous studies mainly draw on experiments in highly controlled environments such as lab or university settings, potentially leading to inflated effects of ambient scent in the absence of natural confounds. Likewise, relatively little is known about the long-term olfactory effects of customers’ repeated exposure to ambient scents in a service environment. In addition, previous research did not focus on the effects of ambient scent after a discontinuation of a scent campaign. Our study series closes these three gaps in service research. We present the results of two preliminary studies followed by two large-scale field studies (n = 711 in total) in which we exposed customers of a major railway company to a pleasurable ambient scent and measured their service perceptions. As such, our research occurs in an “olfactory noisy” environment providing many natural confounds in the form of other olfactory cues as well as permanently changing conditions. In a preliminary (field) study, we found that even though only 27% of customers were able to identify the scent stimulus, the ambient scent led to a significant increase in customers’ evaluation of general air quality during the train ride. Results from a cross-sectional field study (n = 204) demonstrate ambient scent’s short-term effects on customers’ service perceptions and their robustness to customers’ service use frequency. Results from a longitudinal, repeated-measures field study (n = 109), which spread over a 4-month period, provide support for ambient scent’s positive long-term effects. Furthermore, we observed no negative consequences of a discontinuation of the scent stimulus on service perceptions 2 weeks after its removal. Our results suggest that ambient scent as a sensory marketing tool is effective in increasing customers’ service perceptions, even in an “olfactory noisy” servicescape. Its positive effects are remarkable and extend from short- to stable long-term effects.